Ask a question about 7830 34th Ave W #203, or schedule a tour. 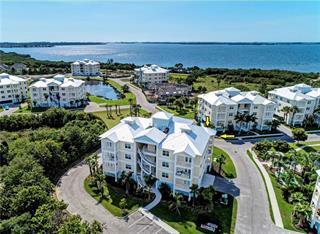 Why wait to build when you can own this pristine, “like new” condo in popular Palma Sola Bay Club? This second floor condo has private preserve & bay views and nothing will be built to obstruct those views. Open floor plan with whitewa... more.shed hardwood floors (Milan Oak) in living and dining area, crown molding throughout, premium paint, granite counters in kitchen and baths, stainless steel kitchen appliances, contrast air brushing on kitchen cabinets, kitchen backsplash, upgraded glass shower door in master bath, front loader washer & dryer w/pedestal, water filtration system, plus front and rear balconies to enjoy both sunrise and sunset. All windows and doors are high impact (rated to 150 mph) plus 9 foot ceilings for a light and spacious feeling. Parking under building with 2 designated spots and a 65 sq ft, secure storage locker in the parking garage. No CDD fees. 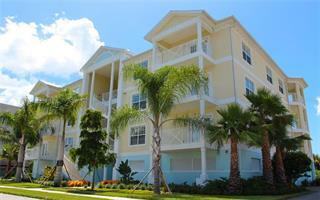 Right across the street is the fishing pier and kayak launch with direct access to Palma Sola Bay. Fabulous amenities including fitness center, heated pool, all weather putting green, bocce ball court, fire pit, grilling areas, plus beautiful clubhouse for entertaining large parties. Association fees cover basic cable, internet, water/sewer/trash, building exterior, grounds maintenance, pest control, and all amenities. Dog friendly (2, up to 100 lbs) community with designated dog park.